What Are The Benefits of Consuming Your Placenta Postpartum? There are so many amazing benefits of consuming your placenta postpartum! Our bodies are so intelligent and amazing! For centuries the placenta has received ceremonial handling by many cultures around the world. In Western medicine the human placenta is usually regarded as nothing more than human waste, unfortunately. Revered for its symbolism of life, spirit and individuality, it is often buried outside in a sacred place. Some people and cultures even promote cooking and eating it as a celebration of birth and a source of rich nutrients. More recently, the placenta has begun to be encapsulated (known as placentophagy) in vegetable caps as well as tinctured in order to preserve its magical medicine! What is a Placenta you ask? A placenta is an organ a woman’s body creates specifically for the purpose of growing a baby. In fact, it is the only organ your body will grow, only to discard later. The placenta is the connection between a growing baby and mom as it pulls the nutrients and oxygen from a mother’s blood and transfers it to baby’s blood via the umbilical cord without ever intermingling the blood. Ahhmazing! You can click here to find some more statistics from mothers who have consumed their placentas postpartum! The oldest know placenta encapsulation recipe comes from Traditional Chinese Medicine. In this method of preparation the placenta is steamed. In TCM they consider birth and the entire labor process to leave a lot of open, empty space, which is considered Yin, or cold. By steaming the placenta we can promote healing postpartum by adding Yang energy, or heat back to the body! Warming herbs are often incorporated into the steaming process to warm, tonify and nourish the mother postpartum! I use lemon, ginger and hot peppers for my placenta preparation which is a recipe that came from Raven Lang, a midwife who extensively studied Traditional Chinese Medicine. Once the placenta has been steamed with the warming herbs and spices, it is dehydrated, powdered and put into capsules for the mother to consume. Some people choose to do a raw placenta encapsulation, in which they dehydrate the raw placenta and omit the steaming step. Intuitively to me, this does not make as much sense. My practice is based in elemental medicine, and therefor the TCM perspective resonates more strongly for me, bringing warmth back to the mother after birth. But by all means research both options and see what calls to you! 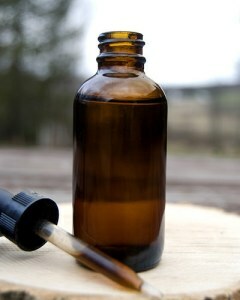 A piece of the fresh placenta can also be made into Tincture, in order to preserve for a longer period of time. The benefits of placenta tincture are similar to encapsulation, except you use the fresh placenta instead of dehydrating it. The tincture is shelf stable for many years and is often used to support you during your transition into menopause to help regulate your hormones. Placenta remedies are an important part of birthing history. One of the first and greatest medical and pharmaceutical experts of China, Li Shi-Zhen, included placenta zi he chi as a medicine in his first TCM Materia Medica published in 1578. The choice to consume the placenta postpartum is a completely personal choice for each mother. I encourage you to do your own research, and listen deeply to the wisdom of your body to see if this is right for you! I offer Placenta Encapsulation and Tincture Services in addition to my Doula Services, or as a stand alone option. You can find out more information on my Certified Holistic Doula Page.